NIV 15 "But what about you?" he asked. "Who do you say I am?" Our 16:15 Youth Department is comprised of Children, Teens and Young Adults ranging from the ages 4-25 years old. Children ages 4-14 are invited to Children's Church during our Sunday 10:15am worship experience for a time designed specifically for their age group. Our Children Church leaders work to ensure your child has an enjoyable worship experience and that your children feel welcomed, loved and have a GREAT TIME fellowshipping and learning about God! We strive to bring a variety of teachings to life in a manner that will help children understand the importance of developing a personal relationship with Him. We utilize the AWANA curriculum within our Children's Church. Teen Rap takes place during our Wednesday PM Bible Study. Teens have the opportunity to talk about real world struggles in a safe environment as well as learn how to apply God's Word to those trying situations.We realize the hardships that can arise at this age and want our Teens to develop a personal relationship with God in a manner that will transform their lives! We work to ensure they understand the importance of having a relationship with Him and equip them with a solid foundation of biblical truths! We also couple our Teen Rap session with an AWANA curriculum. The mission of Youth Activities are to provide the youth of Springfield, Ohio and surrounding areas with the opportunity to participate in fun activities without the added pressures youth experience today. Participation in our series of Youth Activites will provide a safe place for Children, Youth & Young Adults to express themselves and be comfortable in. 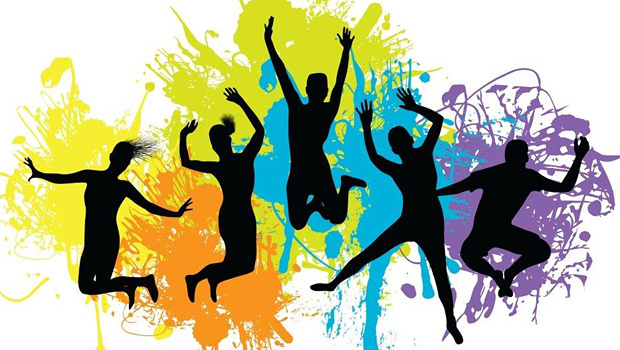 Youth Activities include events, outings, recreation and activities that couple fun and will create a joy of church involvement within all whom participate! Youth Sunday is an opportunity to teach, educate and motivate the involvement of the Youth to see the importance in serving the Kingdom of God! We allow the Youth a platform within the Church setting to showcase their love of God knowing that it will equip them to become comfortable in carrying out the duties in not only serving God's Kingdom, but in also spreading their faith and the good news of Jesus Christ to the community! We want to encourage our Youth's choice in making healthy decisions and instill in them the principles and values learned through applying the Word of God throughout their lives! Vacation Bible School (VBS) is offered each summer for one week, usually near the end of July. Please plan on joining us for a fun and faith-filled week! Children have a great time with lively songs, crafts, games, bible stories, and of course snacks - all the things that make Vacation Bible School fun for children! We always need volunteers to help make VBS a success so please be on the lookout for more information as the time nears and see how you can help!